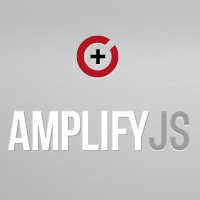 AmplifyJS is a set of components designed to solve common web application problems with a simplistic API. Amplify's goal is to simplify all forms of data handling by providing a unified API for various data sources. Amplify's store component handles persistent client-side storage, using standards like localStorage and sessionStorage, but falling back on non-standard implementations for older browsers. Amplify's request adds some additional features to jQuery's ajax method while abstracting away the underlying data source.